Heaven is permanently open and raining down as we walk (and dance!) with God. Whoo hoo!!! Let’s get drenched--soaked to the cells of our being. Oh how refreshing, energizing, and reviving! Jesus told us, “It is not you who are speaking, but the Spirit of Your Father speaking through you…What I say to you, proclaim from the rooftops! (See Mat. 10:20, 27.) Let’s shout it from the rooftops: IT IS RAINING! Come on--let’s open our mouths and satisfy our souls, for we've got living water in abundance. Let’s turn our hearts heavenward to be an open portal to receive from Father God our spiritual nourishment. No need to pray any more for heaven to rain down. No need to wait for more. No need for big yellow umbrellas for this rain. Just believe and receive with arms open wide. Let's enjoy His sweet heavenly Presence 24/7, let His rain fill us up, and overflow everywhere we go! 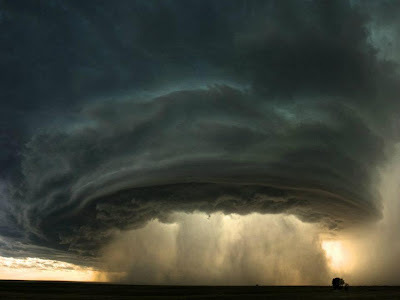 Phillip Beard wrote: "A new STORM is sweeping across the Church. It’s called STORMING the gates of heaven. When God’s people storm into heaven, the whole earth will be shaken with the Father’s glory! Drench yourself with heaven until you are dripping with glory."